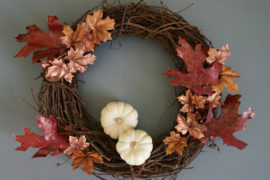 What says “’tis the season” more than a wreath? 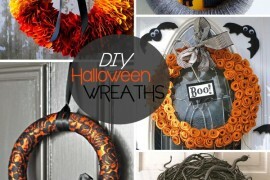 It seems like this time of year is synonymous with wreaths, and I have to say I don’t exactly hate it! 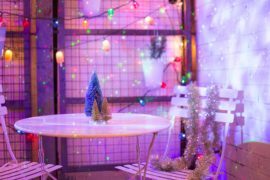 I’m a big fan of them, but I also like to make them a little different than just the typical evergreen selections (though they are also beautiful). This one is a personal favorite because you get to use some atypical materials, and it smells amazing! I used three different sizes and only took the inside part for this project, because I knew I wanted to fit them inside of one another. 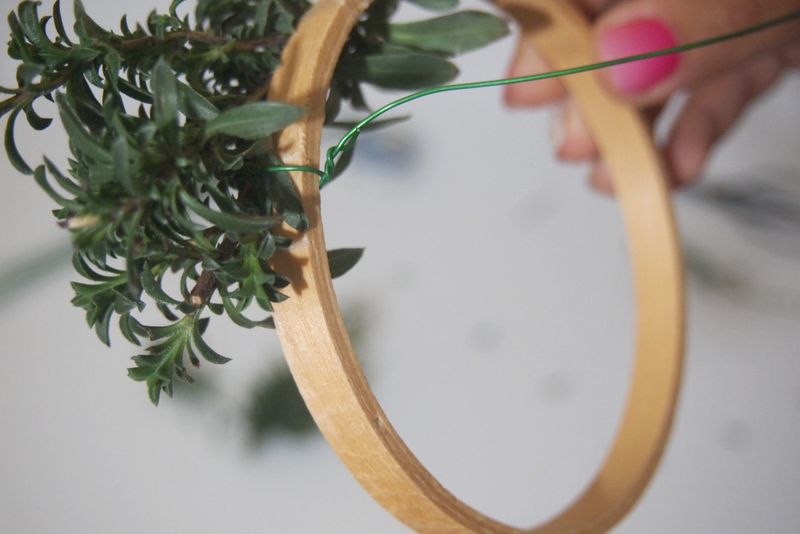 To attach the herbs to the hoops, I used both clear string and floral wire. The herbs can be any you’d like. I used lavender, winter savory and lemon thyme. 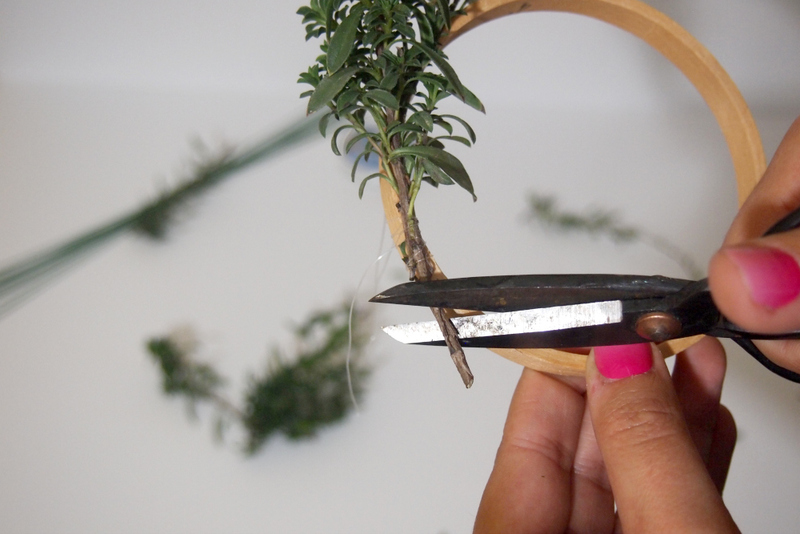 Make sure you snip your herbs before you get going to make the process a little faster. 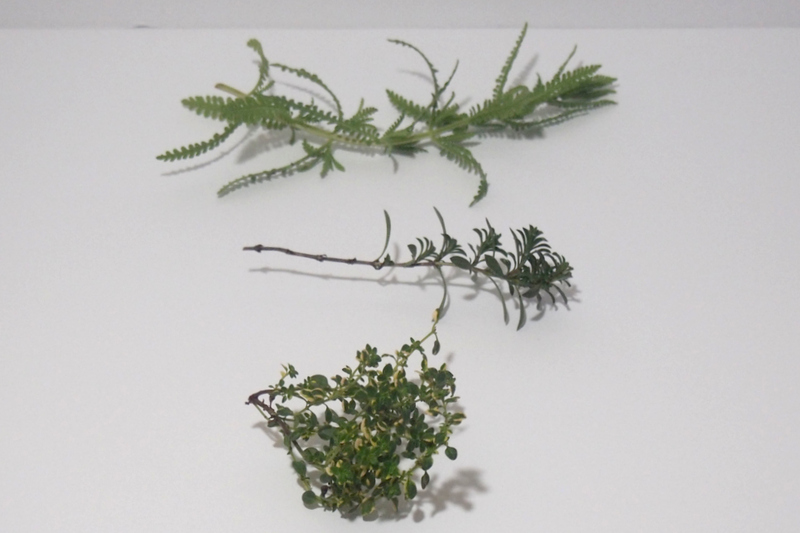 I started with the winter savory. 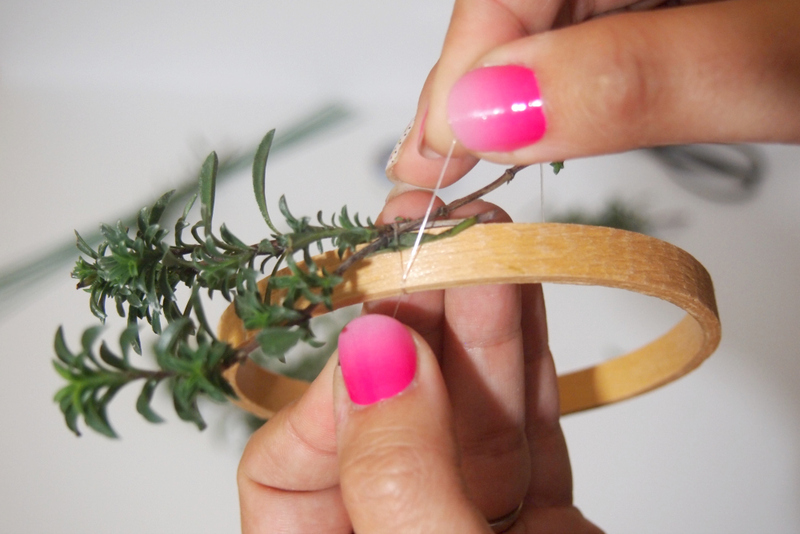 Tie a knot with the string around the base and wrap it around a few times. I used the string for this, because I wanted to make sure it wouldn’t be visible when the wreath was put together, and the wire may have been more obvious. 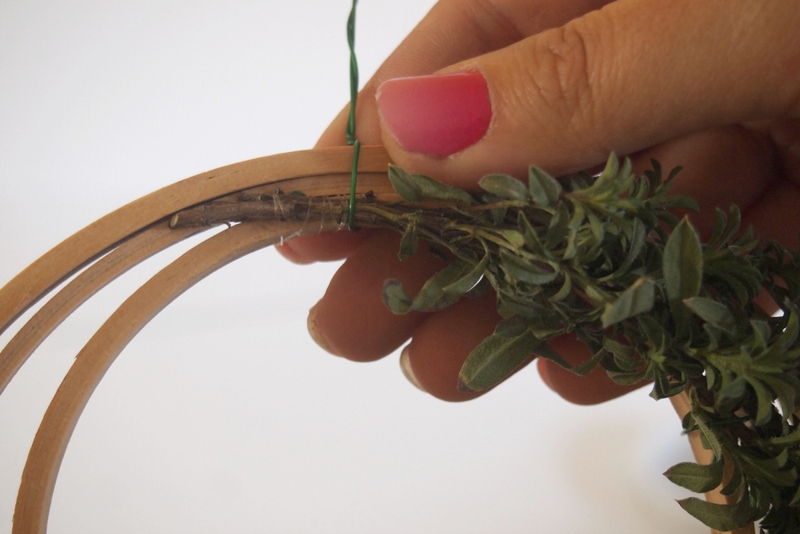 Cut off any excess bits of the herbs that may be sticking out or too long. You want mostly leaves here. 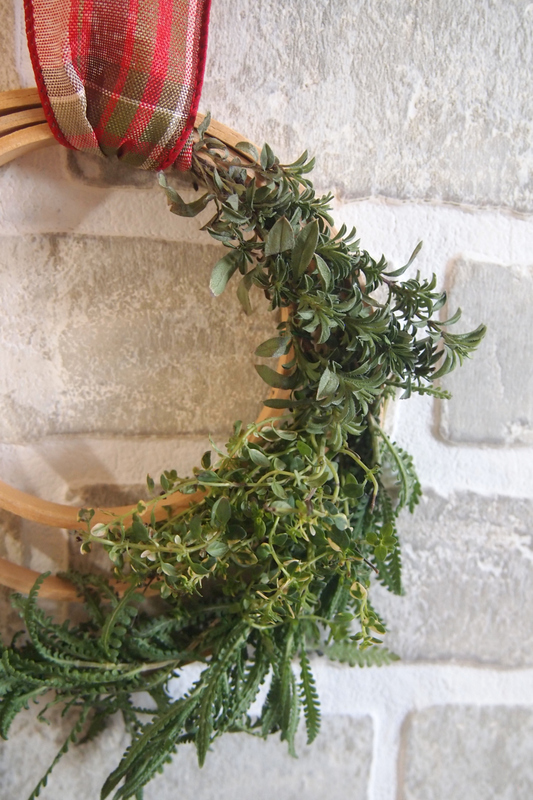 To make sure the herbs bend around the wreath properly, use the wire to hold them in place. 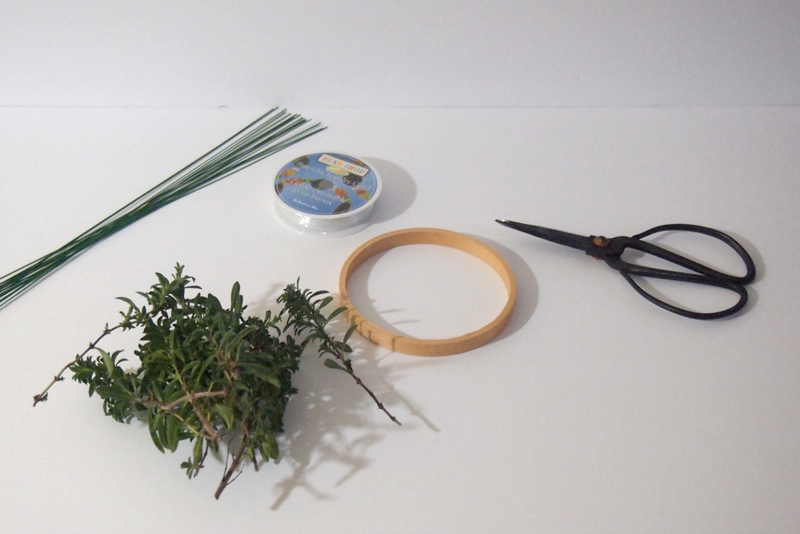 In this case, the wire is easier to use and won’t be visible since it’s mixed with the leafy bits! 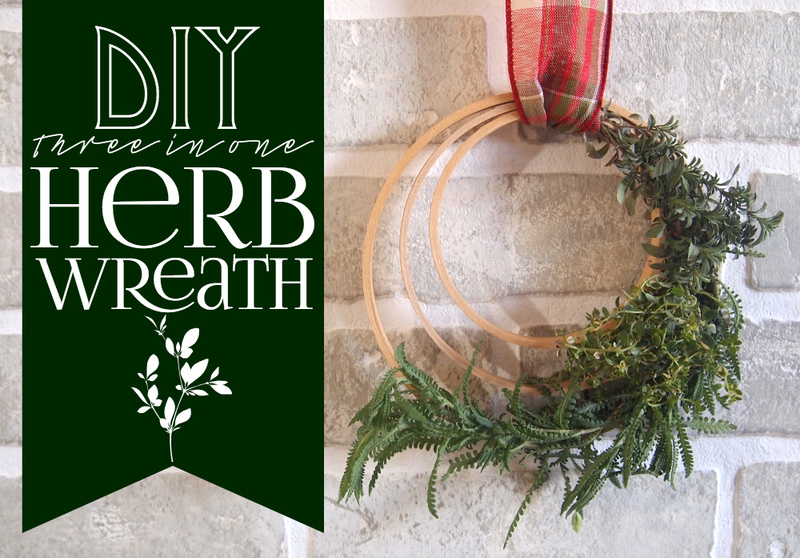 Repeat the process with the lemon thyme and lavender, then place the wreaths inside of one another, gathering all of the herbs together to one side. 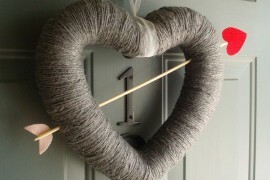 Again, I used the wire for this part because this will be covered up with ribbon for hanging the wreath. 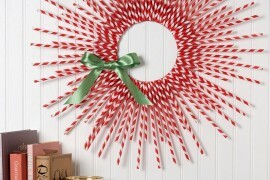 Use any ribbon you’d like! I thought this plaid was great, because it adds a little color and has a hint of green in it as well, to match the herbs. 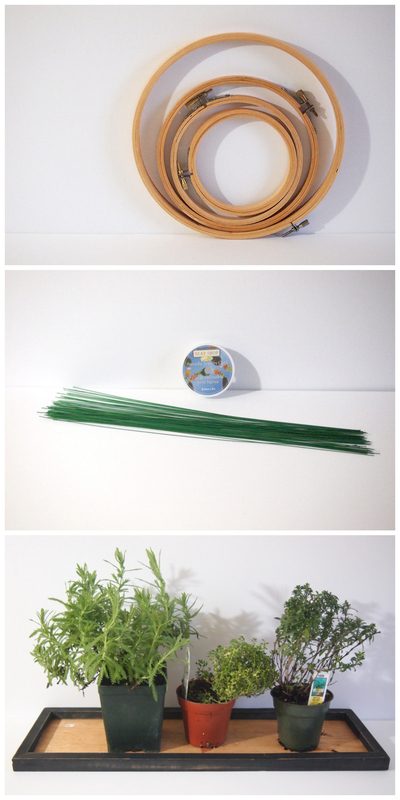 If you use a wired ribbon, all you have to do is wrap the ribbon around once for a simple arrangement. 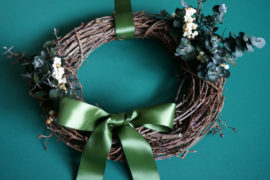 This wreath is lovely to have near a sofa or maybe even in your kitchen, because as you can imagine, it smells heavenly! The lavender really does it for me, but the lemony scent of the thyme is so fresh! 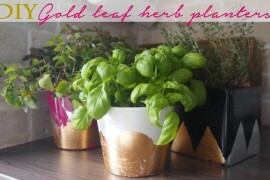 If you decide to choose different herbs, I’d say pick ones that dry fairly well – meaning they don’t go all brown and sad looking! 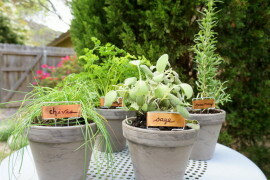 Other options would be thyme (just the regular stuff), any kind of lavender, rosemary and oregano. Not great choices would include basil or mint. Though they smell wonderful, they look really wilted when they dry! 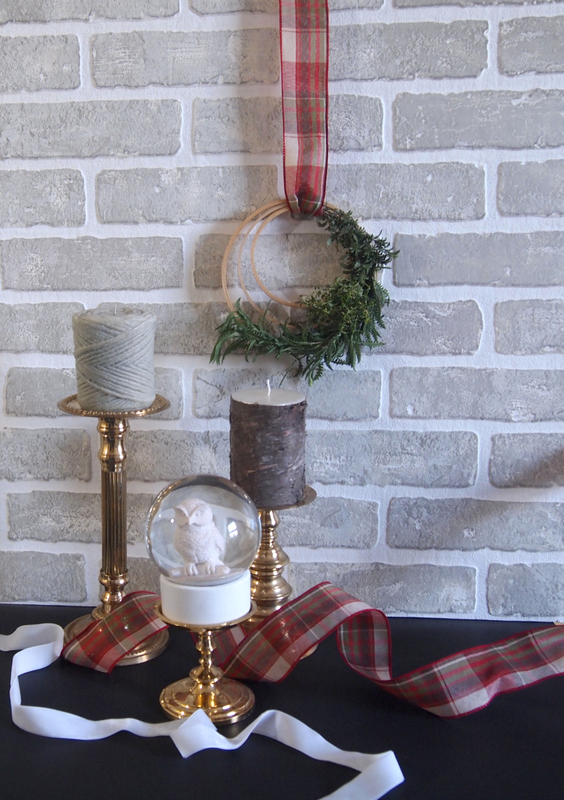 Add a few more ribbons to a table to bring everything together. It’s such a lovely fresh arrangement, and would make a great hostess gift this Holiday season! I have to say, I kind of love how the three hoops are visible on one side. 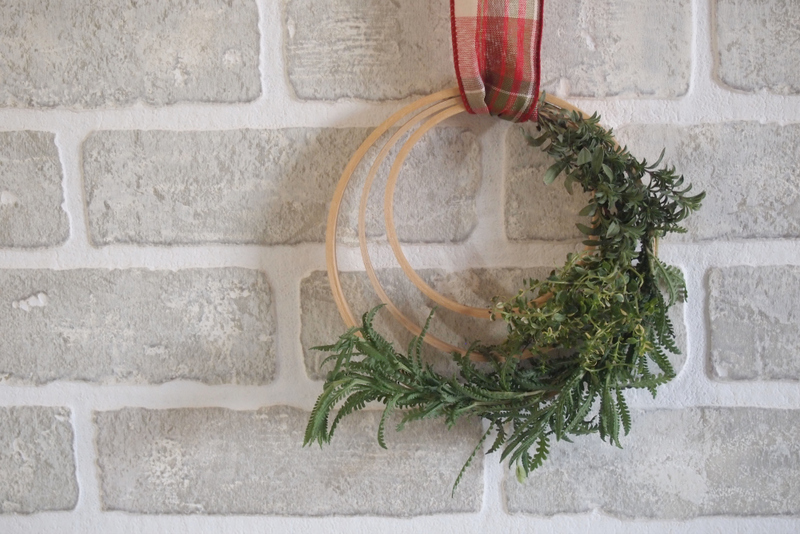 It makes the wreath look a little different and more interesting, and the exposed wood is a little Scandinavian, don’t you think? 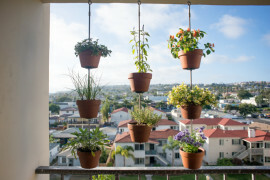 Have any more suggestions for herbs that could dry well for this project? I’d be happy to hear them!